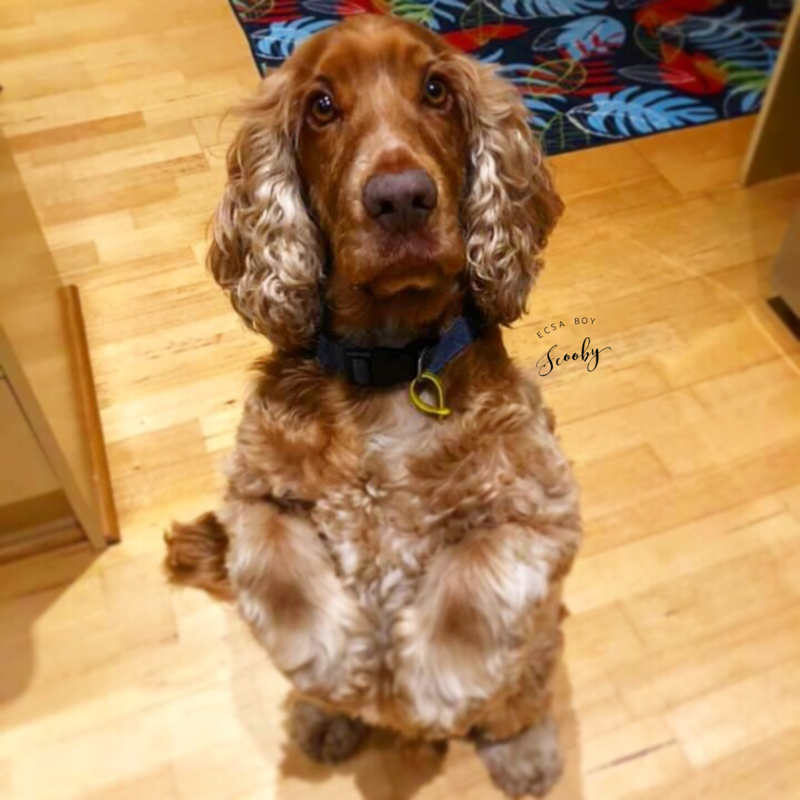 Scooby | English Cocker Spaniels Australia Inc.
Hi everydoggy! Scooby here! I’m ready to find my forever home and I’m so excited to meet my new pawrents! Look how straight and proud I’m sitting up! I am a beautiful boy, who loves people, even little people! I love them so much that I absolutely refuse to share them with anydoggy else, so I insist on being the only pet in my forever home. I’m really smart and learn things quickly, and love love LOVE my food and treats! I have beautiful manners inside the house (outside too but inside it’s really impawtant to remember your manners), and make a lovely house dog. I like to stay inside when my people are out, and am a very good boy and stay on my bed and rest – that way I’m ready for action when they get home! My foster Mum takes me for a walk in the morning and the afternoon and I really enjoy myself, I check my weemails and make sure to reply to every single one of them! Hey, I said I had good manners! The V.E.T reckons I need to lose a couple of kg but you know…blah blah blah. If you would like to meet me, just send an email to Mrs ECSA at info@ecsa.org.au and then my people will talk to your people and we can meet. I’m so excited to meet you, and hope to see you soon!